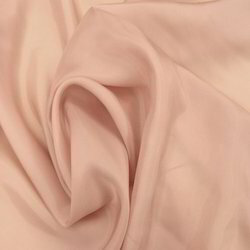 <b></b>We provides excellent smoothness and delicacy in <b>Dyeable/Modal Satin Fabrics</b>, it is ideal for scarves and garments manufactured from them offers high comfortability and trendy look.<br />Ideal for Western Dresses, Kaftaans, Lowers and high quality Salwaar and Sarees. 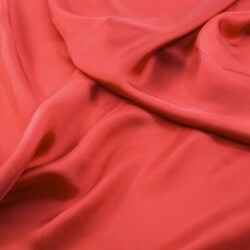 We have emerged in offering our prestigious customers a wide array of Bemberg Satin Fabrics. The products we offer are manufactured by a creative team of experts using latest machines and technology. We ensure that only those products will deliver at patrons' premises, which are having zero flaws. To meet the specific demands of the customers, we also provide these fabrics in customized form at market-leading prices. The offered range of fabrics are made in accordance with quality standards and latest fashion trends. With our expertise in this domain, we are able to offer a superior quality range of Bemberg Modal Satin Fabrics. The offered range is fabricated using latest technology and premium yarns obtained from the authentic vendors of the industry, in order to ensure its adherence with the standards of the fashion industry. These fabrics are extensively applauded by the customers for their features like soft texture, skin-friendliness, high tear resistance strength and striking pattern.